Vicki Gunvalson Reveals She Was ‘Begging’ Brooks Ayers Not to Leave Her in ‘The Real Housewives of Orange County’ Season 11 Premiere: Sneak Peak! Nothing to "woo hoo" about. Vicki Gunvalson opens up about her bumpier-than-ever love life in The Real Housewives of Orange County&apos;s season 11 premiere, as seen in Us Weekly&apos;s exclusive sneak peek. The preview clip from the veteran Bravo series&apos; return on Monday, June 20, shows the lone remaining original cast member telling the camera that she&apos;s has trouble adjusting without her polarizing ex-boyfriend, Brooks Ayers. The pair split in August 2015 after dating on-and-off for four turbulent years, which included a scandal last season surrounding him lying about his cancer diagnosis. 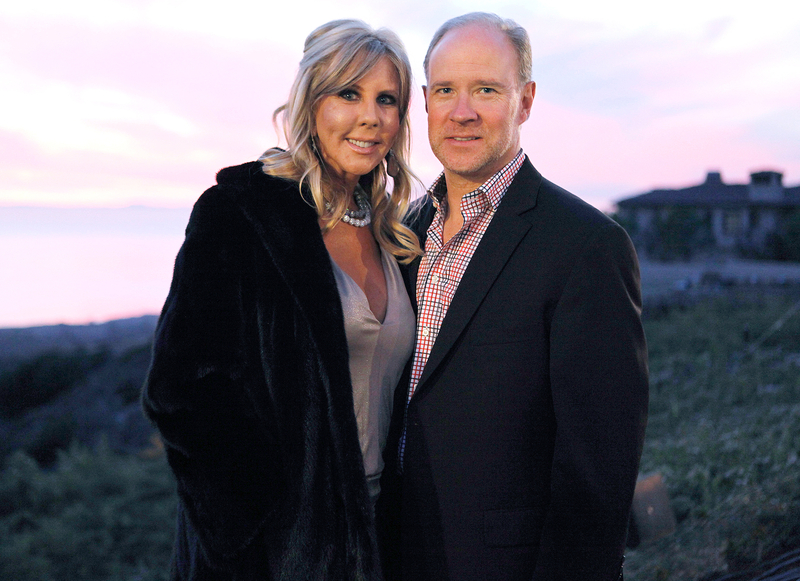 "I do miss Brooks — he was my best friend," Gunvalson, 54, says in the new clip. "The night he moved out, I literally lay in the street crying, begging him not to go." "I&apos;m like, &apos;I don&apos;t care about your medical records. I don&apos;t want you to leave,&apos;" she continues. "Like, &apos;I know you&apos;re sick.&apos; And he&apos;s like, &apos;It&apos;s never going to work.&apos;"
Gunvalson’s romantic travails appear to be a central story line this season. Us exclusively premiered a season 11 promo last month that showed the insurance maven calling Ayers and telling him, "I believe you, and I love you," much to Tamra Judge&apos;s chagrin. Happily, the OG Housewife appears to have found romantic bliss recently with new man Steve Lodge. In fact, Gunvalson exclusively told Us at an event last week that her daughter, Briana Wolfsmith-Culberson — who famously sparred with Ayers — actually "loves" Lodge. Watch the clip above to hear Gunvalson&apos;s take on the cancer-diagnosis brouhaha. The Real Housewives of Orange County season 11 — featuring newcomer Kelly Reza, plus Judge, Heather Dubrow, Shannon Beador and Meghan King Edmonds — premieres on Bravo Monday, June 20, at 9 p.m. ET.